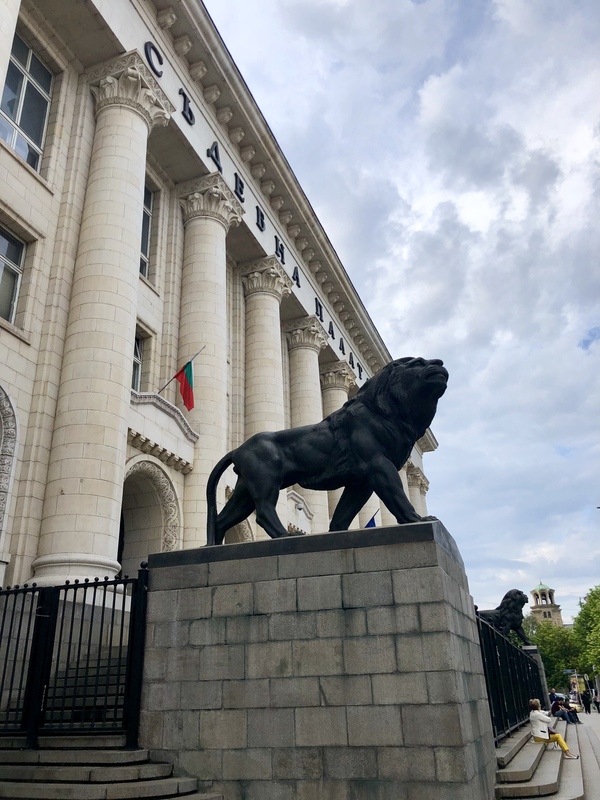 Bulgaria is my thirty-first country to visit. Bulgaria is usually towards the bottom of the list of countries that people want to visit. It was definitely towards the bottom of my list too. How did we end up here? Sofia was the cheapest destination to fly to from Athens. Fun fact–we paid $17 USD per person for an hour and a half flight. I had very minimal expectations for Sofia. Honestly, I didn’t know what to expect. However, I went in with an open mind and forced optimism. Man, I was so wrong about this country! Bulgaria has moved up towards the top of my list. This country now holds a special place in my heart. 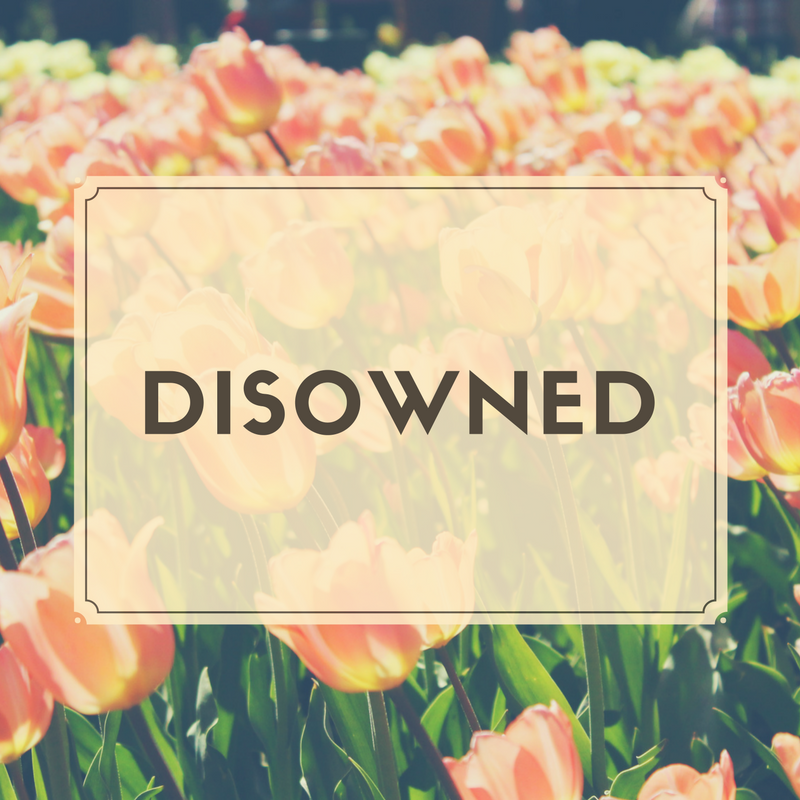 This post contains affiliate links to the products I use and trust. This means that I might receive a small commission (at no extra cost to you) if you make a purchase using any of my links below. See my full disclosure here. Popular to contrary belief, the currency of Bulgaria is not the Euro. It is the Bulgarian Lev. 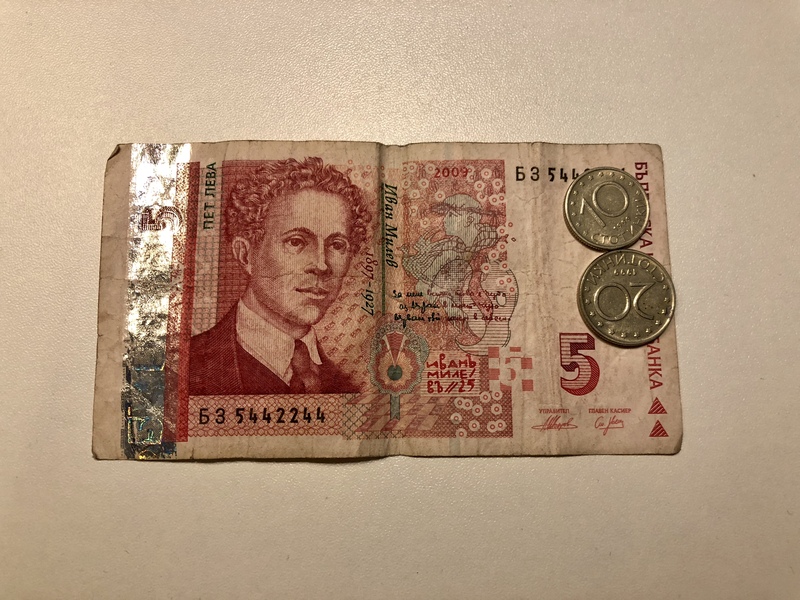 One Bulgarian Lev is the equivalent of 0.61 USD. We found Bulgaria to be cheap. 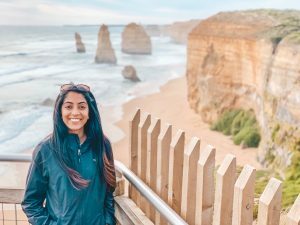 We haven’t been to a country this cheap since we were in Southeast Asia. We stayed at a four-star hotel in the heart of the city for only $60 USD per night. I highly recommend Best Western Plus Bristol Hotel. It is walking distance to all of the local attractions. Food is very reasonable too. Taxis are also quite reasonable. We paid $2 USD for a ten minute ride. That is so much cheaper than other European countries we have visited. Speaking of taxis, don’t be a victim of the taxi scams that happen in Sofia. Researching taxis is part of my procedure before visiting a country. Naturally, I did my research and was so glad that I did. We needed a taxi to our hotel from the airport. We walked up to a man who was going to charge us $18 USD for a twenty minute ride. If I hadn’t done my research, I would have thought that was a pretty good deal. This was an awful deal. He claimed to be the cheapest driver and that we wouldn’t be able to find another driver as cheap as him. We walked up to a taxi stand inside the airport and the lady behind the counter quoted us $6 USD. Before exiting the airport, talk to the taxi stand inside the airport and get your driver there if possible. Taxi drivers are required to post their prices on their windows so double check them before you get in. I showed the taxi drivers the address of where I was wanting to go on my phone so they knew that I was paying attention to the routes they were taking. I also asked them to estimate a price so I knew beforehand what I was going to be charged. Also, make sure that the driver has their taxi meter turned on immediately when you enter the car. In summary, taxi services are very reasonable and reliable in Sofia. Just do your due diligence and check the prices before you enter the cab. 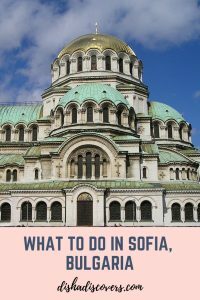 To be completely honest, I didn’t think there was much to do or see in Sofia. However, everything I did see and do was STUNNING and FUN! 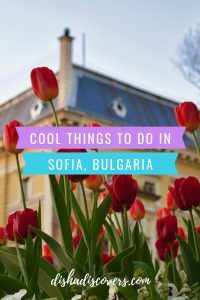 Here is a list of things I did and saw in Sofia. •One of the funnest things I did in Sofia was drink mineral water in the street. This mineral water is definitely a best kept secret. There are many mineral water taps around the city where I saw locals filling up their empty jugs. I decided to partake in this and was shocked to see how delicious and refreshing it tasted. I started filling up my empty water bottles there too. 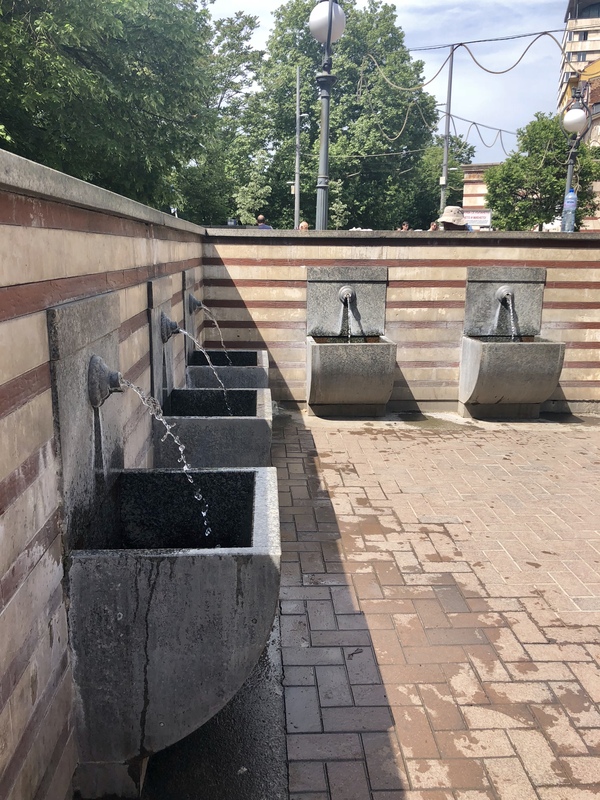 They say that the mineral water of Sofia can heal anything except a broken heart. And I believe that too. Move away, Smartwater—I have a new favorite. 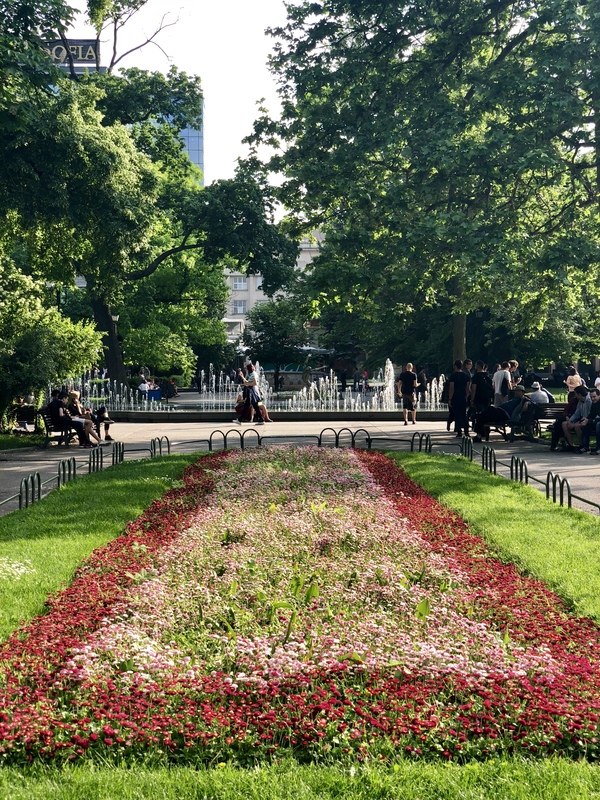 •There is definitely not a shortage of parks in Sofia. I saw parks everywhere. I didn’t expect to see so much beautiful greenery in this country. My favorite part about hanging out at the parks was seeing all of the locals there. I somehow felt like I got a glimpse of their daily activities and got to know the Bulgarian people a little deeper. 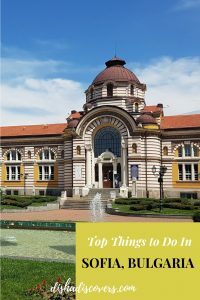 If you’re looking for a quiet place to relax or do some thinking, head on over to one of the many parks in Sofia. 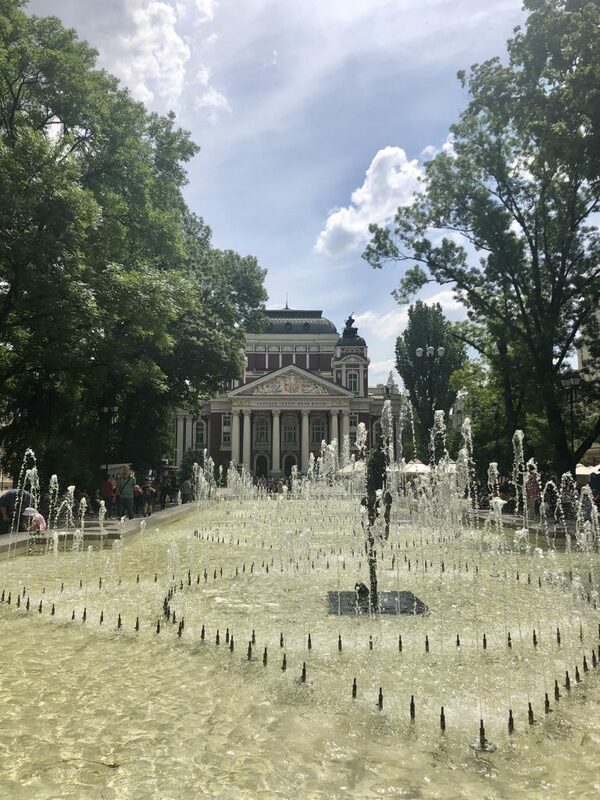 Pictured below is the park right by the Ivan Vazov National Theatre, City Garden. •The first attraction I visited was the Banya Bashi Mosque. 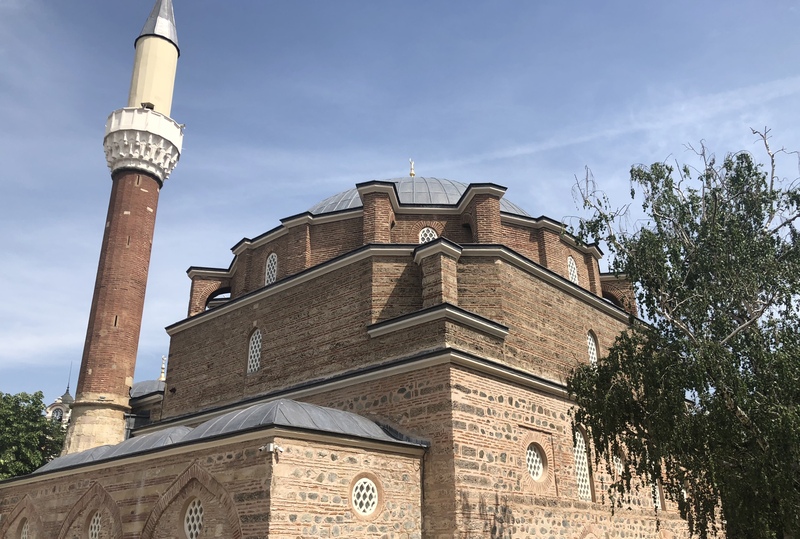 It is the only functioning mosque in Sofia and approximately 700 worshippers can fit inside of it. It was built in 1576. I only saw the exterior of the mosque, but visitors are allowed inside if a prayer isn’t going on and if modestly dressed. 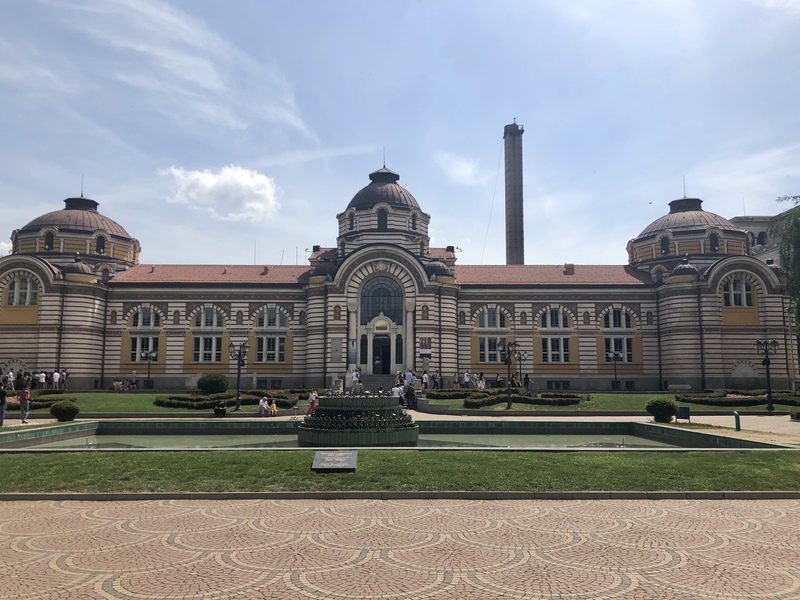 •The Central Mineral Baths is a gorgeous landmark in Sofia. It was used as the city’s public baths until 1986. 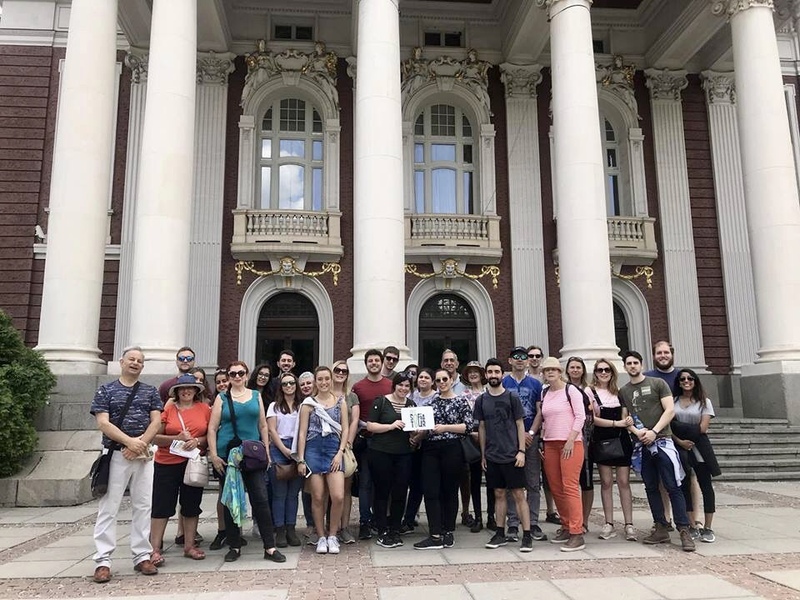 •The Ivan Vazov National Theatre is Bulgaria’s national theatre and faces City Garden. 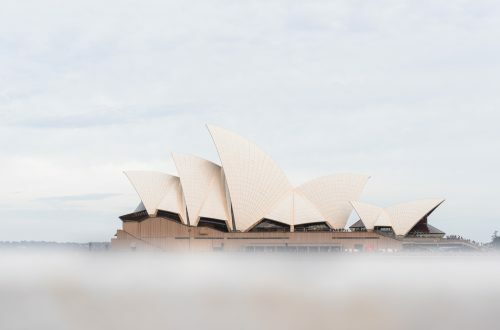 This is one the more elegant buildings I have seen. Be sure to check out a show while you’re in Sofia. Directly outside of the theatre is a fun little square with fountains where you can get a cup of coffee, sit, relax and people watch. •Sveta Nedelya is an Eastern Orthodox Church. The history of the church remains a little obscure to this day. It is assumed that it was built in the 10th century. The church has undergone a few renovations due to various reasons. The church was last renovated in 1933. •Russia is the number one country I so badly want to visit. 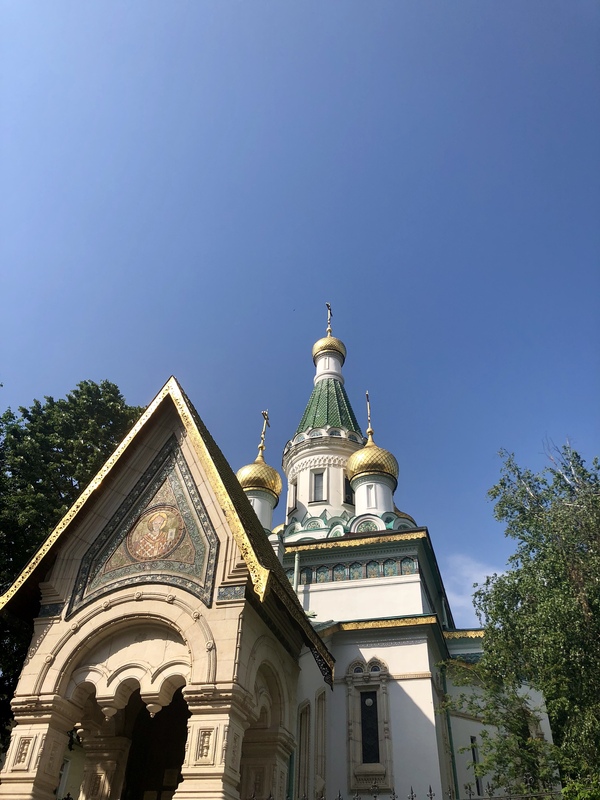 I was elated when I found out that there was a Russian Church in Sofia. It is officially known as the Church of St. Nicholas the Miracle-Maker. 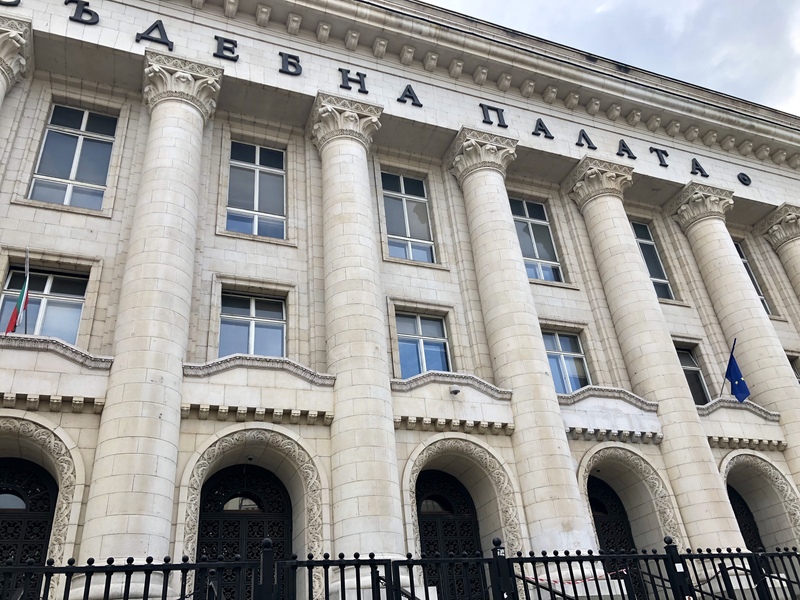 It was built when Bulgaria was freed by Russia from the Ottoman Empire. 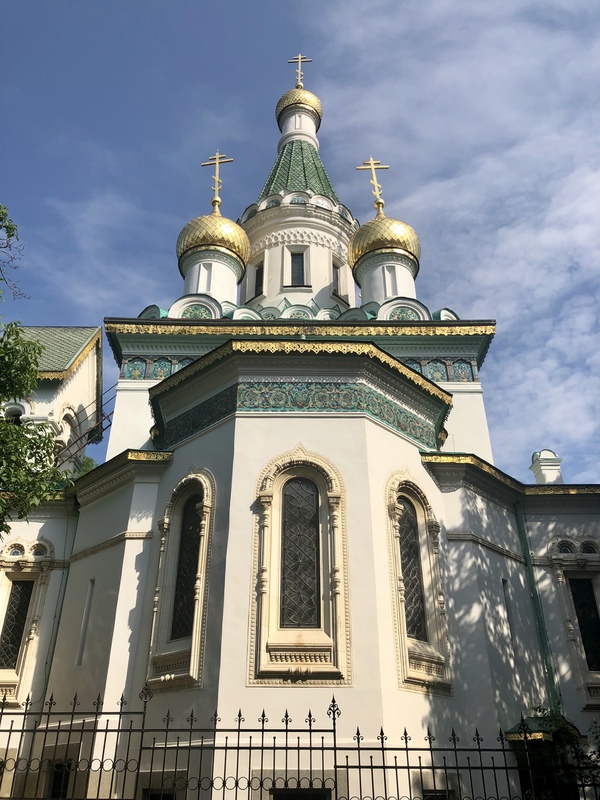 It was constructed as the official church of the Russian Embassy. In my opinion, the exterior is more beautiful than the interior. However, do go see the interior as well. There is no charge to go inside. The interior is a little dark, but it will take you back in time. You’ll enjoy the frescoes inside. Note: photography is not permitted inside. •St. 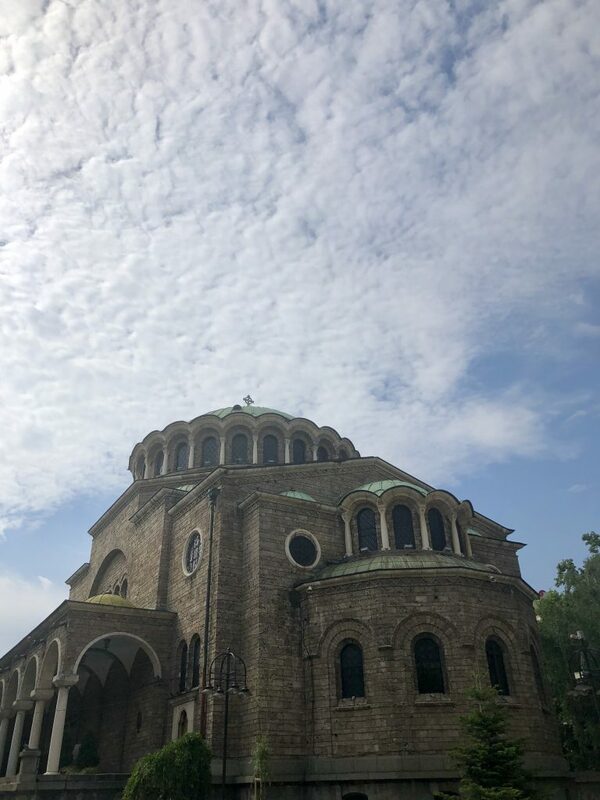 Alexander Nevsky’s Cathedral is one the primary tourist attractions in Sofia. It is the second largest cathedral on the Balkan Peninsula and holds 10,000 people inside. It was built to pay tribute to the Russian soldiers who died during the Russo-Turkish War of 1877-88. It is well worth it to go inside and there is no charge either. Photography is strictly forbidden. There are many murals, domes, mosaics, stone carvings and elaborate doorways. The interior is simply dazzling. You’ll be left speechless. 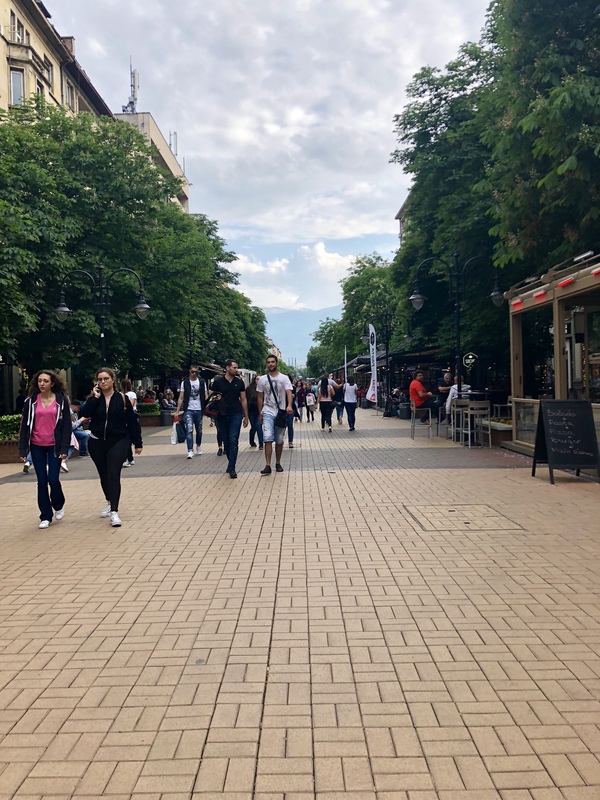 •Vitosha Boulevard is the main street in Sofia. 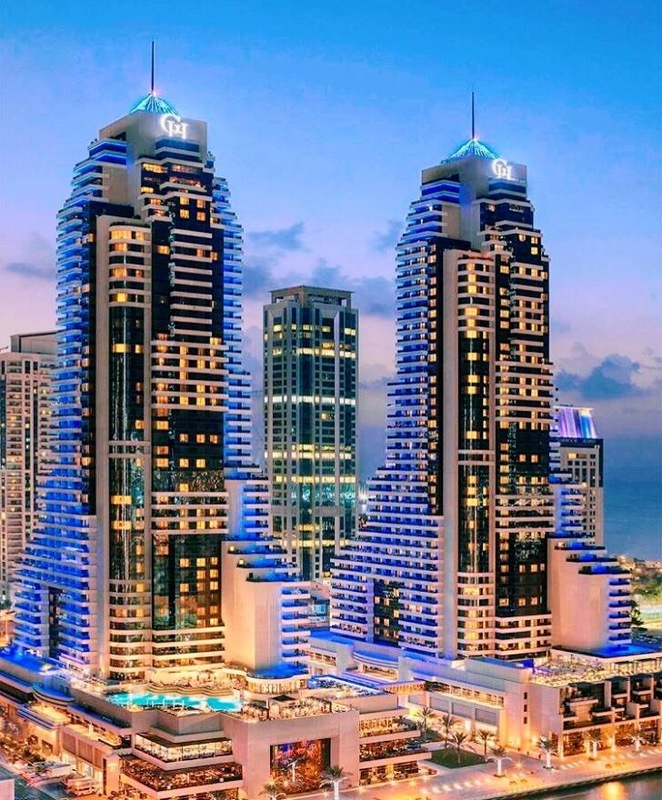 It is lined with shops, restaurants and bars. You can also catch a breathtaking view of Vitosha Mountain. Confession—I wasn’t a huge fan of this street. The street didn’t have a Bulgarian feel to it at all. In fact, it felt more like Champs-Elysees in Paris. I tend to dislike shopping so that is probably why I wasn’t a huge fan. For my shopping loving people, you’ll love this street! 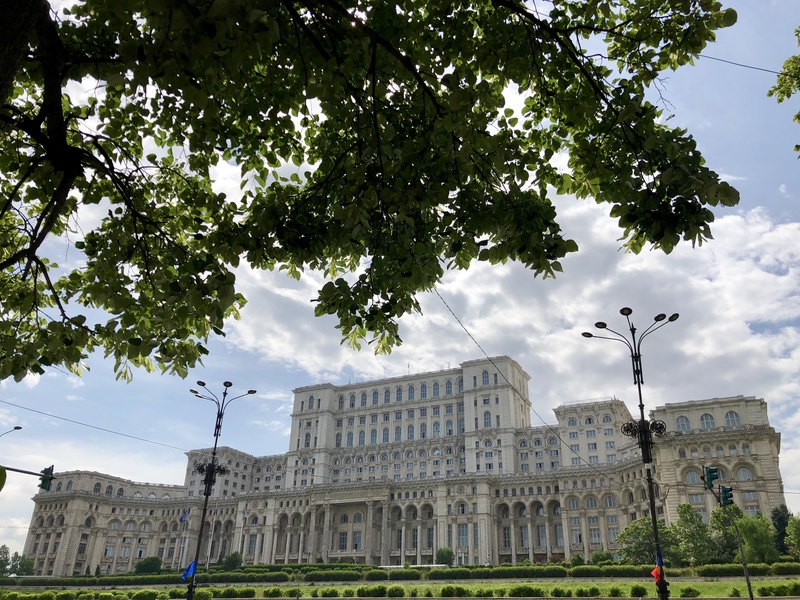 •The Palace of Justice houses several of the city courts. The lions symbolize bravery, strength and freedom. We just happened to be in Sofia for St. George’s Day. This is a national holiday where Bulgarians honor those who have participated and those who are participating in the army. There are demonstrations of military vehicles, including tanks and missile launchers. Helicopters circle the sky with the Bulgarian flag attached to them. The President and other officials give speeches. 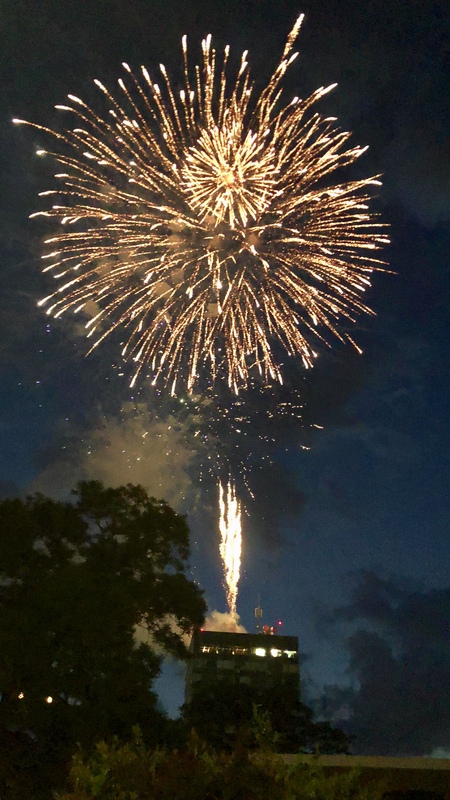 Fireworks light up the night sky in celebration of this holiday. It was such a privilege to be in Bulgaria for this special day. 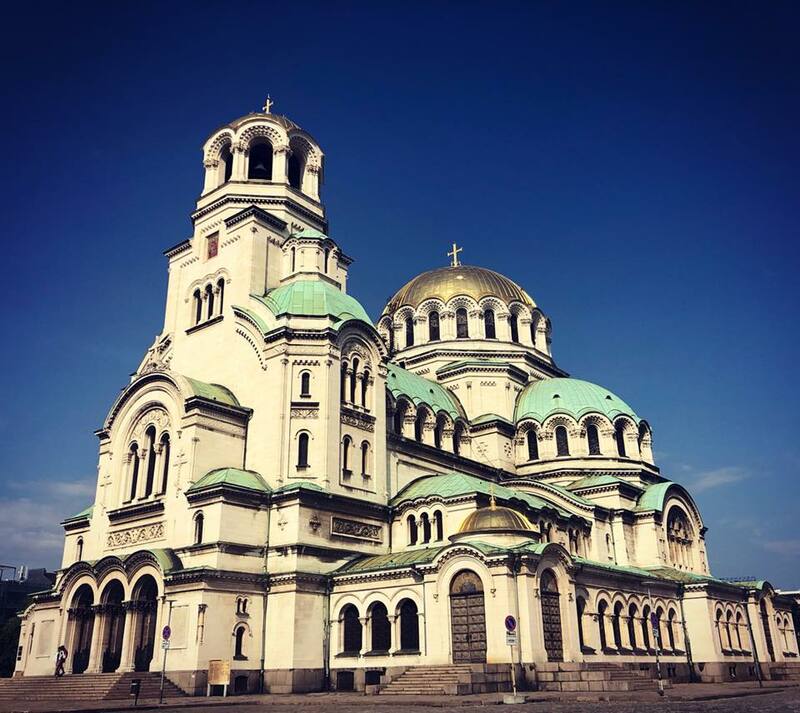 Have you visited Sofia? What did you do there? Let me know in the comments below. Like this post? Pin me, please.